This history of marijuana and hemp, the non-psychoactive version of cannabis sativa, goes back thousands of years. It has been used for medicine, rope, clothing, paper, and, according to some, may have even been an ingredient of the holy annointing oil described in Exodus 30. In particular, some believe that the word cannabis is actually derived from the Hebrew term keneh bosem that means "fragrant cane." The etymology in this case would be keneh bosem --> keneh bos --> cannabis. 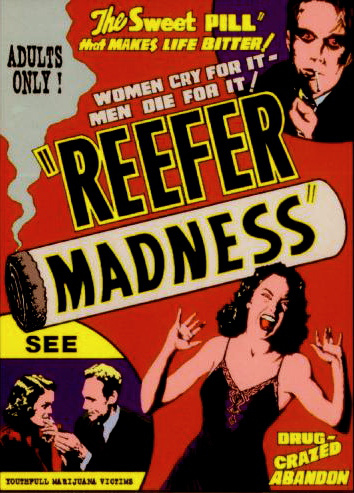 It is only in very recent times that the world has experienced cannabis prohibition, and the main architect of this prohibition was Harry J. Anslinger, America's first "drug czar." This prohibition was based both upon racism and the money interests of those who did not economic competition from the products that could be made from hemp. Below are some links that give a good overview of the history of marijuana and hemp. Enjoy! But then during WWII, the Country Needs Farmers to Grow Hemp Again - Hemp for Victory!